BotF has always been reluctant to venture into Hugos Manly, despite the fact that it is literally the closest bar to the Back of the Ferry. This reluctance was partly driven by the query over Hugos status as a bar (more of a restaurant) and partly because it can relieve you very quickly of any available funds. Any reluctance was removed yesterday, though that was helped considerably by being there on someone else’s coin. 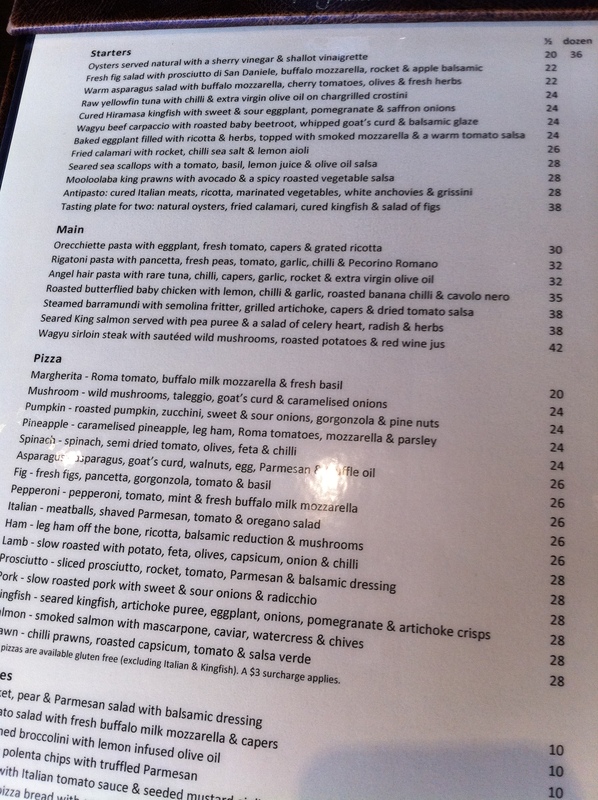 Location wise – Hugos is hard to beat. On a sunny day, there is no better place to eat outdoors. 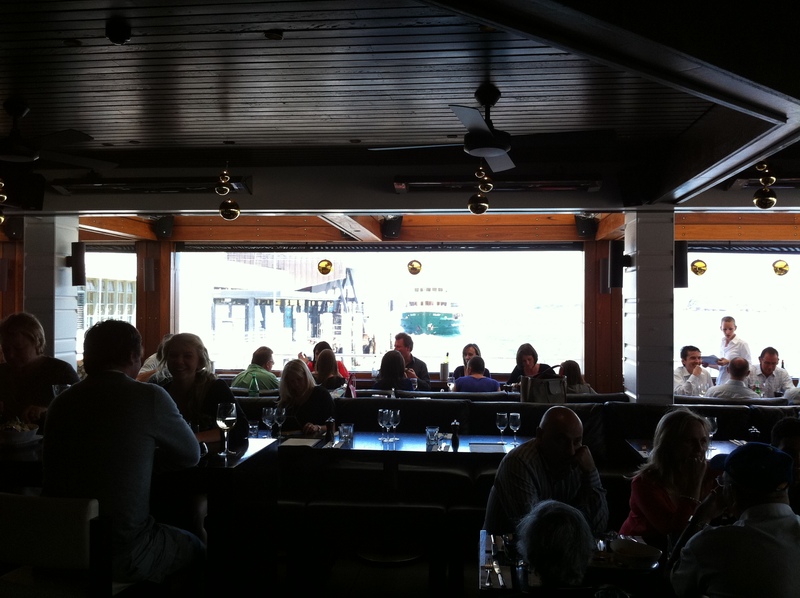 Even on a windy day as we experienced, it is still a great atmosphere – with very comfy chairs and benches. Full of beautiful people, even on a Monday lunch, and we did spot a celebrity. 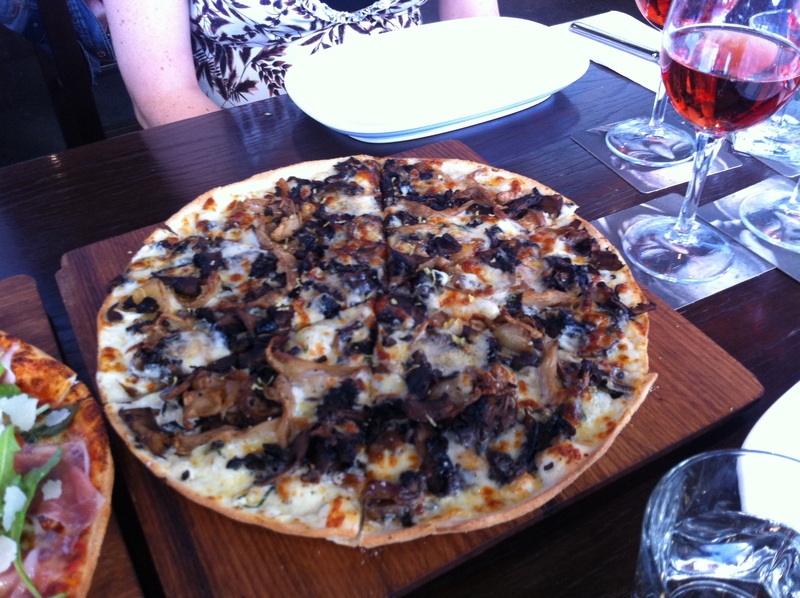 Food is excellent – the mushroom pizza being a highlight and the Affogato is excellent value. 4 tap beers, which were surprisingly available in traditional schooner glasses. If there was ever a schmiddy kind of place this would be it. 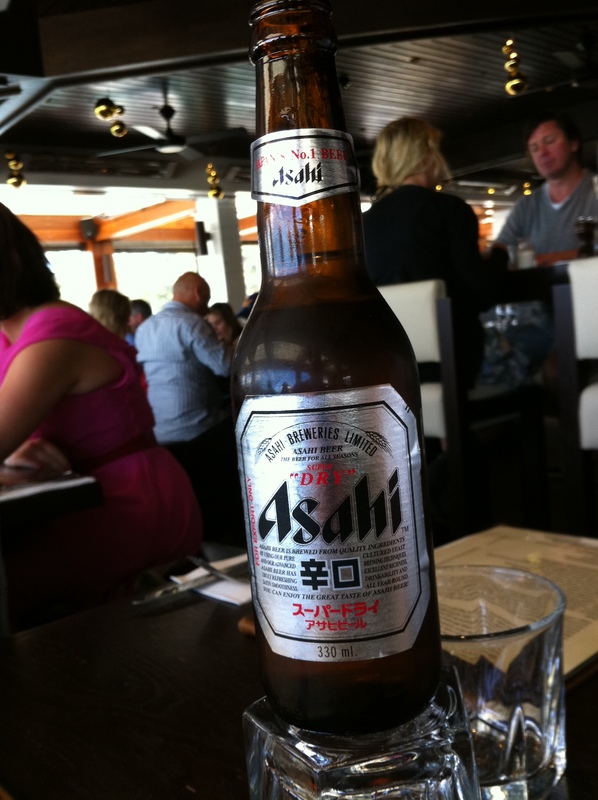 BotF opted for an Asahi Super Dry, as it isn’t on the BotF Beer List yet. This is a significant beer, as it caused a phenomenon in Japan known as the Dorai Senso or Dry Wars. When it was launched in 1987, this beer very quickly dominated sales and caused the other brewers to follow suit with their own version of dry beers. Asahi Super Dry won the Dry War, and helped Asahi gain a much larger market share than previously. I think marketing won out here. This isn’t a bad beer – it is crisp and smooth and eminently drinkable, but worthy of starting a war?